Although a simple part it's the inclusion of both Allen Keys that set ours apart. 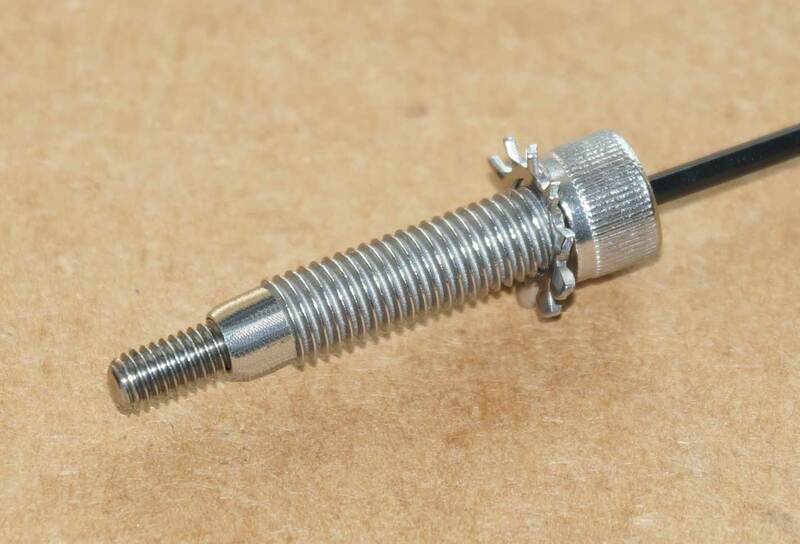 The extra long M4 Allen Key is rare and generally unavailable - we supply it..
A Hollowed threaded 1/4"-28 replaces existing Grip bolt allowing an M4 Set screw to adjust away any trigger play permitting a tight snapping action. Most Lowers are completely threaded however there are a few that aren't which require removal of the Socket Bolt's thread in order to pass through the unthreaded portion of the lower (as shown below). Some Lowers use a bolt with an external nut. The nut can be re-used inside allowing the Trigger-Mate™ to be installed.